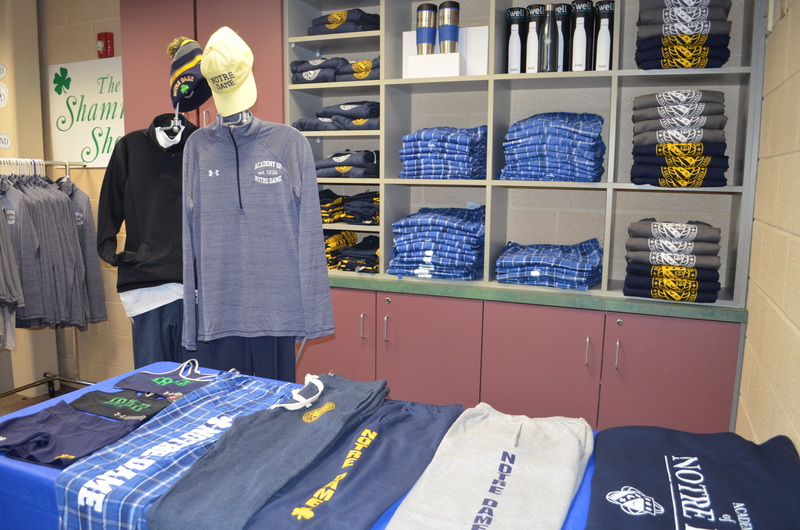 The Shamrock Shop is the place to find Notre Dame spirit wear and other logo-themed items, such as blankets, mugs, magnets, and more. Select merchandise carried in the Shamrock Shop is available for purchase through the online store. For a full selection of items, please visit the Shamrock Shop located outside of the Aimee Willard Gym. Did you know? Your daughter may use her proximity card to make purchases at the Shamrock Shop! Please note: The store is closed on all noon dismissal days, breaks and school holidays. Contact information: Nancy Brennan, Shamrock Shop Manager, (610) 687-0650, ext.139.